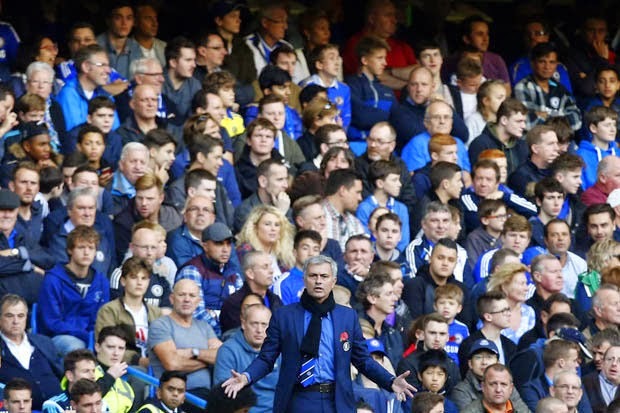 Jose's "dig" at the supporters has got the reaction he WAS looking for! 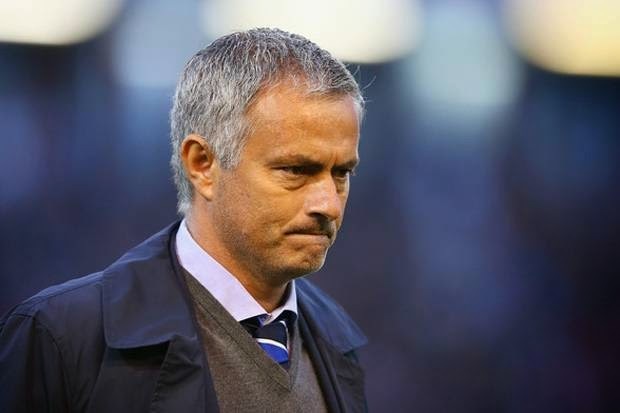 Jose Mourinho has stirred up all sorts of comment and opinion piece after his comments aimed at the Chelsea Supporters after Saturday's 2-1 victory over QPR. I want to read your opinions on the fall out since those comments were made. "At this moment it's difficult to play at home because playing here is like playing in an empty stadium. I was looking around and it was empty, but not in terms of people because it was obviously full. That's what is frustrating. Everyone knows how much I feel connected to this club and the fans. It's difficult to get that strong start where the players, team and fans at Stamford Bridge [are all together]." Now, you would have read and have seen various articles on this subject and all sorts of people giving their views including people who aren't connected with Chelsea at all. Plenty of supporters were airing their views on the way home from the game on Social Media and some weren't happy at all, especially as they pay their monies to see Chelsea at every single home game during the course of a season - some away too. "It's £50-plus to go, And young people - who are the most likely to sing and make noise - have been priced out of the game. Until the clubs recognise that and do something about affordable pricing for young people and creating sections of the ground where they can sing and make some noise then the situation is unlikely to improve. It's unrealistic to expect 18- or 19-year-old kids on the minimum wage to come to Stamford Bridge or any other Premier League ground - this isn't just an issue at Chelsea, it's an issue across the board." "We've worked closely with supporters as regards improving the atmosphere at games and we'll continue to do so. We work hard within the constraints of the current stadium to keep ticket prices down, and have frozen those prices in seven of the last nine seasons. The club's ticketing policy is due to be discussed with supporters at a forum later this month." Do you agree with Tim Rolls in relation to the noise at the grounds or do you think that's it's only part of the reason? I will be honest, there are times this season that I have sat there and agreed with Mourinho that the atmosphere isn't as loud as it could be but again that could be for a number of reasons. No disrespect but playing QPR at the Bridge compared to Atletico Madrid in the Champions League Semi-Final is always going to produce a different atmosphere because of the occasion. There ARE many things to consider that play a part in the atmosphere at the ground and i personally believe that the team and the way we are playing, plays a huge part in all that. In some instances, fans are so involved in the game, wanting the team to do well that they become engrossed on what they are watching and choose not to be involved in the singing. Some, point blank refuse to get involved. However, I respect and admire the ones that do love to get inside the ground and choose to sing week in, week out and for most of the ninety minutes. Let's also not forget the supporters who travel away to watch Chelsea and more often than not, out sing the home supporters! Everyone is different, everyone has their own interests and everyone chooses to support Chelsea in their own way. Whether they sing or not, they are still paying their money week in, week out or their season tickets every single year and that's a lot of money! Hi JT, I thought I would write to you because I feel you're someone in the club who would understand, because you're a fan like us and many of us believe something needs to be done. As much as we all love Jose, his comments yesterday was not called for and was completely bang out of order for people who pay ridiculous prices each week to watch Chelsea. Here lies the first issue, pricing. It has become so expensive following football now that many proper fans are being priced out of going to Stamford bridge and being replaced by tourists who of course won't be singing or making noise. Another one problem is the stewarding, the problem is as soon as people try to stand up and make an atmosphere (you're obviously not gonna have atmosphere sitting down) we get threatened with ejection if we don't sit down so no one wants to make an atmosphere now in fear of getting chucked out. Another problem is the away fans in the famous shed end. If the away fans were in the west upper or East upper then they wouldn't be heard as much as we have a bigger platform to make noise. There are many solutions to the atmosphere problem like singing sections, safe standing, cheaper tickets but the club has done nothing. As you know John our away support is brilliant, because we are standing all game, not being threatened to be kicked out and tickets are generally cheaper. The whole point i am trying to get across is ths all well and good Jose slagging off our support but will he actually do anything about it? Coz down thing needs to be done rather than just slagging off people who pay loads of money to be told to sit down or face ejection from the stadium. Sorry to bother you JT but as our greatest ever player and a fan yourself, I feel you have influence and understand what we are feeling. I'm just about to go and train but will contact you after training today. Please send your number. JT." "JT wanted me to pass on the message that the players are driving home to the club to try address these problems such as stewarding, getting the away fans moved and under-21 tickets. "The club are trying and thank us for our support home and away. "But he also said not to take Jose's comments to heart. He did it to get a reaction like he does from the players. 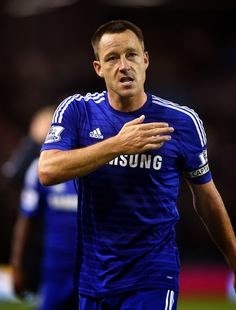 JT says 'he's the main man'." I would also like to point out that THIS is the reason for this blog post this evening. Jose Mourinho is the master at getting reactions out of his players and reactions from the media, press and opposition teams/managers. Some would argue that with another win, there remains constant talk of Chelsea being the next "invincibles" which isn't going to happen. One of the qualities of the manager is the fact that he is able to deflect the attention from his players and onto himself and this is a perfect example of Jose doing exactly that. It will be talked about and referred to until we next feature at Stamford Bridge which is in two weeks time. For two weeks, people will talk and discuss the atmosphere and you can bet your life that it will be better than it has ever been this season - giving Mourinho the reaction he was looking for from the start. What do you think of all the fallout since he made those comments and what is your own personal opinions on the atmosphere at Stamford Bridge?